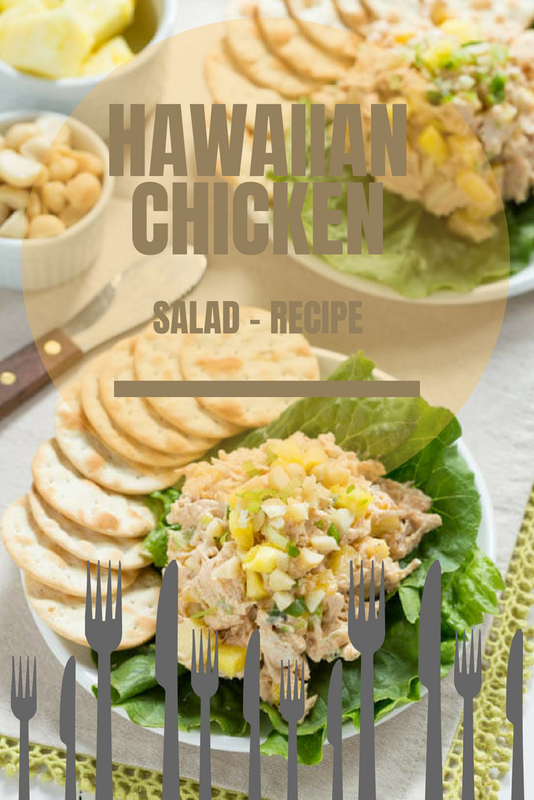 Hawaiian chicken salad is a great dish that is full of interesting and hearty flavors. 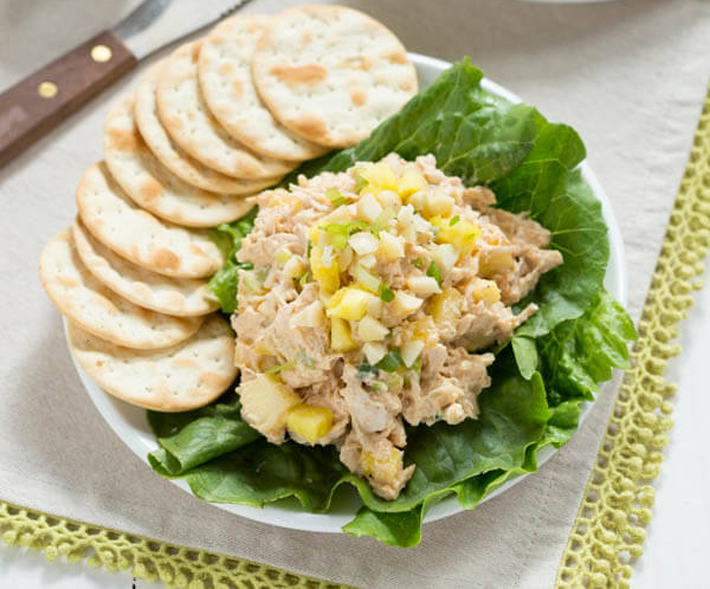 Chicken salad makes a great lunch for both kids and adults. Chicken salad on a croissant is the best thing ever. 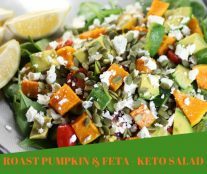 I also love to serve it with salad greens or crackers. The addition of the pineapple and macadamia nuts adds a tropical element to a classic recipe. Fill a 3 to 3.5-quart sauce pan full of water. Add the chicken breasts and garlic clove. Bring to a full boil and then turn off the heat and cover the pot. After 12 minutes, remove one of the breasts and cut into the thickest part to check to see if they are done (they should be cooked through and register at least 165 degrees F on an instant-read thermometer). If there is any pink, return to the pot for another 15 minutes. Drain chicken through a colander, discard the garlic clove and cool slightly. Chop or shred the chicken into small pieces. 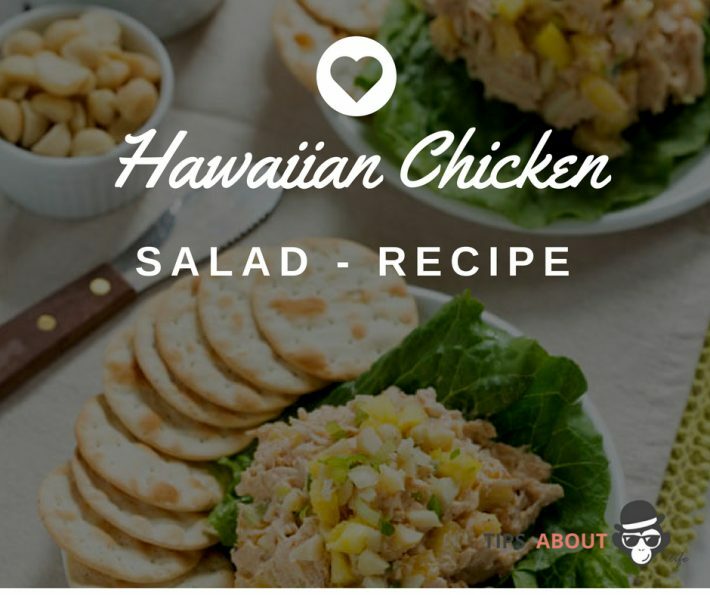 Add the chicken, pineapple, macadamia nuts and scallions to a large bowl and set aside. In a small bowl, whisk together the salt, pepper, paprika, cayenne pepper, Dijon mustard, and yogurt. Add the yogurt mixture to the large bowl with the chicken mixture and toss well to combine. Serve on bread, over salad greens or with crackers, as desired.